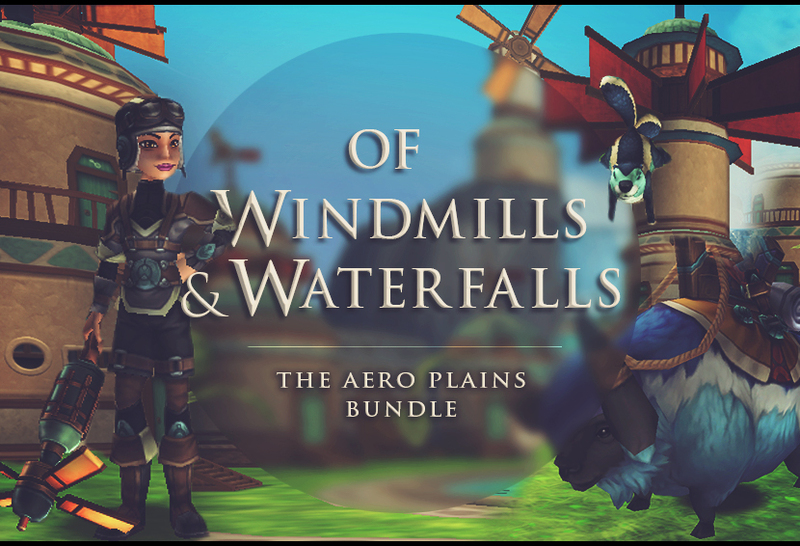 The Aero Plains Bundle is a “large” bundle (as opposed to the “smaller” Great Detective bundle, Spooky Carnival bundle, etc.) 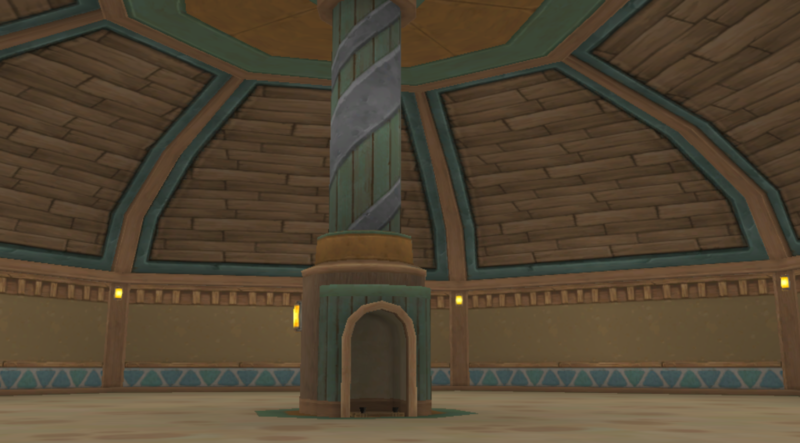 coming replete with the Aero Village House, Blue Ox Mount, Squirreligig Pet, Aero Plains Gear, Aerocannon Wand, and 1 Month of Membership or 5000 Crowns. So, let’s set the stats aside and talk about what’s really important here: the aesthetics of this gear! Potential stitchability (TM Julia Lionflower….not really, feel free to steal that term) is a factor with bundle gear second in importance only to the house itself, in my mind. See all that red pictured above? Everything red can be changed into tons of different color combinations! This is such versatile gear color wise! Literally they will all look good. Personally, I went with black and silver because I feel like it compliments the Squirreligig pet and the Aerocannon really well. 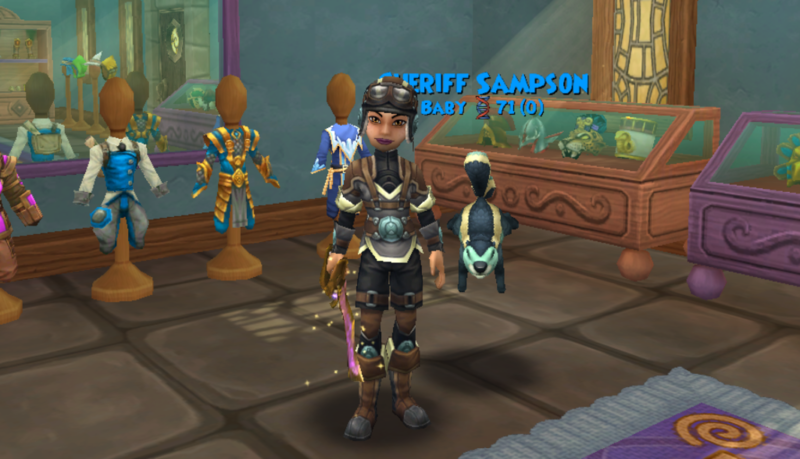 If you just happened to have the previous bundle, The Great Detective, I think this gear looks aero-lutely absolutely aero-mazing amazing paired with the gyrosphere gyrocycle! First impression: “Bahahahahaha it has a windmill fan on it…” I’m not sure why that feature was so funny at first glance, but I’ll be honest, it kind of still is. This wand is hardly the worst bundle wand we’ve ever seen. At max level, stats-wise, it can’t stack up to dropped wands, but it does have a really interesting mana burn may cast. However, just like the gear, I found that I was really interested in it for lower levels. I think Final Bastion put it best: it actually gives the Sky Iron Hasta a run for its money. In the end, I redeemed it for level 50, because the damage given is only 1% off of the Hasta at this point. As the health of enemies gets higher, fortify starts coming into play, and pierce becomes more relevant during questing my grandmaster+ wizards now have the opportunity to switch from the pure damage Hasta. Everything’s a windmill. EVERYTHING. 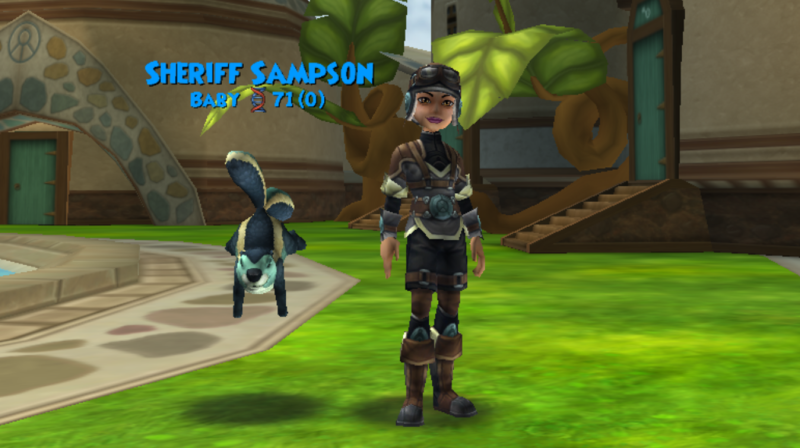 Among those that have already gotten this bundle (and among those that haven’t but have seen the pet) it seems almost unanimous that the Squirreligig Pet (fun fact: I googled that to make sure I’d spelled the name correctly and it autocorrected to “squirrel pet” which was both cute and more common of a thing than I thought.) is A. really cute and B. a new fan favorite. Is that opinion accurate? Yes, yes it is. While I’m not entirely sure how the windmilling tail would work physically, who can say no to that cute little face? 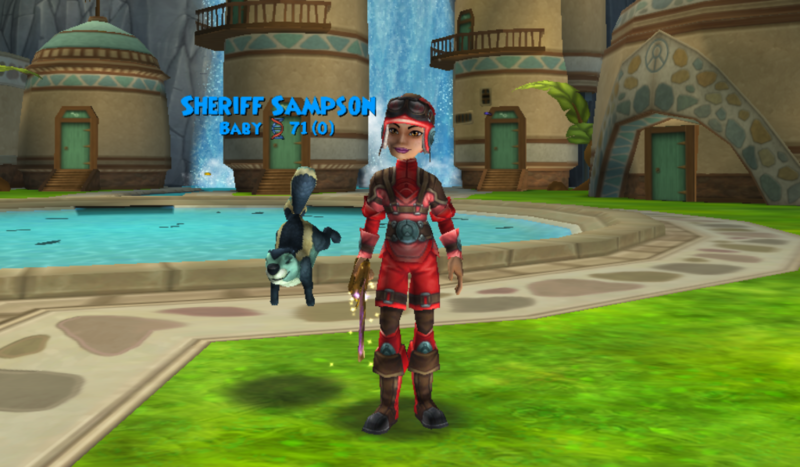 In addition to being aero-adorable adorable, the Squirreligig pet comes with the unstoppable card. 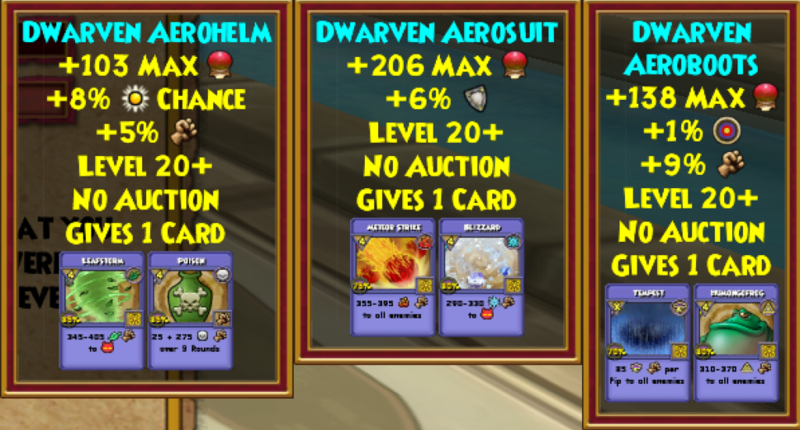 While this card offering may not seem useful, this pet also seems to have the Storm Dealer talent already in its pool, making it easier to develop this as a storm damage pet. The cuteness doesn’t stop at the Squirreligig Pet. 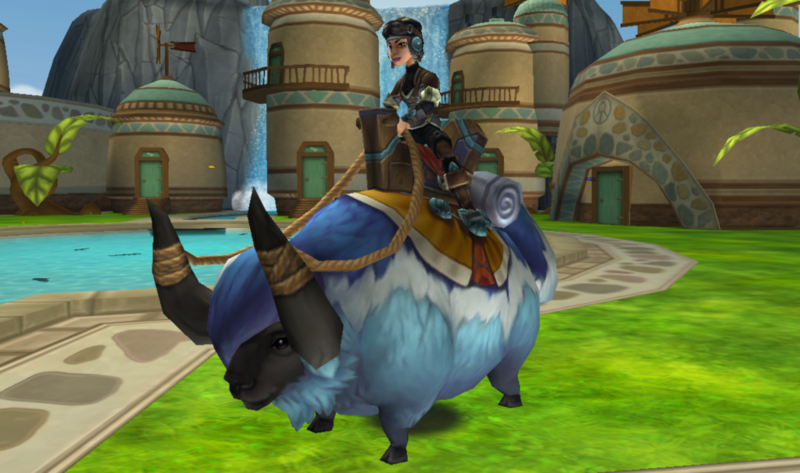 With this bundle you can officially hop around the Spiral on the adorable Blue Ox mount. My favorite part is actually its face. It’s not cartoonishly cute, but actually aims towards realism. I also really like the details in its saddle! 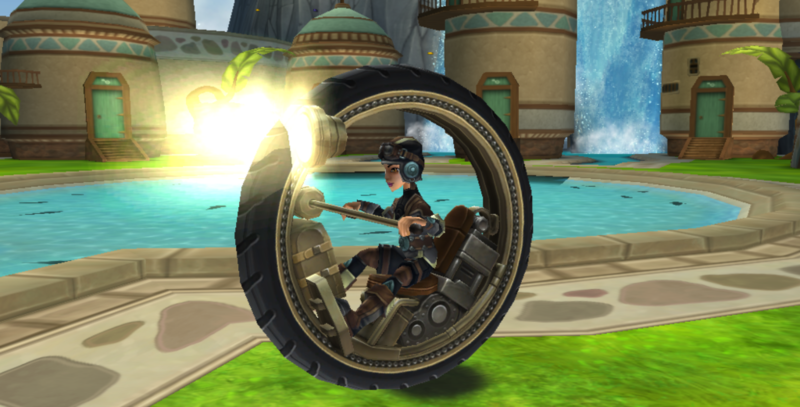 Sadly, this mount doesn’t come with a speed boost, though that could be for the best. The hopping did get a little bit old after a while and I figure that would be worse if the movement was quicker. Long capes also look a tiny bit aero-awkward (I can’t be stopped) awkward but it’s not a huge deal. This house is quite literally your own little slice of the Aero Plains. If you’re one of those people that wanted to own their own village you definitely have the chance now. In a way it looks like a hobbit town. 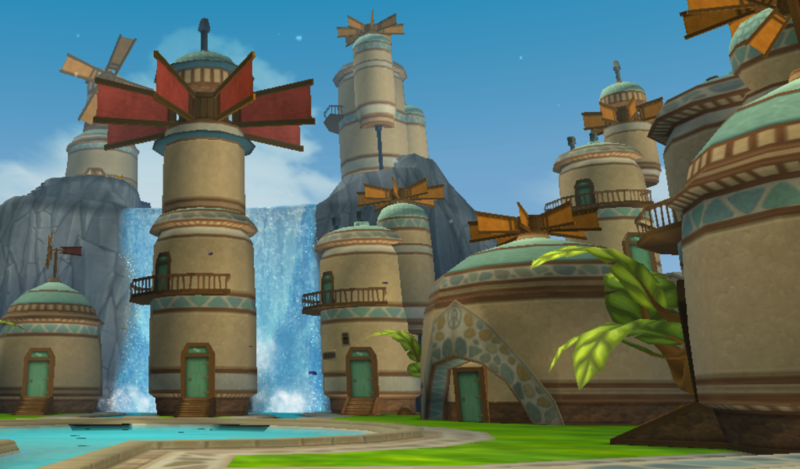 The buildings, like much in this bundle, are very cute and vary in size. The color scheme of everything here is extremely pleasing, even soothing to look at. I also really like the greenery of the house! It’s really nice to have a break from the brown stone. I hope these curling leaf tree things? leafy plants become housing items some day! I really like the idea of the subterranean corridors, particularly if you’re thinking of this like a settlement, a true village with multiple people. This just isn’t a single person or even single family kind of house! That said, this one is quite the doozy as a result! One of my initial reactions, admittedly, was surprise at how lost I swiftly became. (And I mean utterly, keep-going-through-the-same-two-doors-like-things-are-gonna-change-lost) However, putting down a few little decor items or changing wallpaper or flooring will quickly help you to establish a mental map of the place. This house reminds me a lot of the Treetop Getaway with its complex map. I thought I’d never figure out that house, but over time I knew exactly how to get around. Trust me, the same goes for this house! Don’t be scared! Personally, I can’t wait to tackle this decorating challenge! This definitely lands within my top 5 favorite bundles- largely because it’s so unique! I’m so happy to see that innovation is still happening for bundle houses and the concept of a more complicated map for a house hasn’t been put aside entirely. Just looking at the Village house, you can see the care that was put into its design. It’s really quite something! 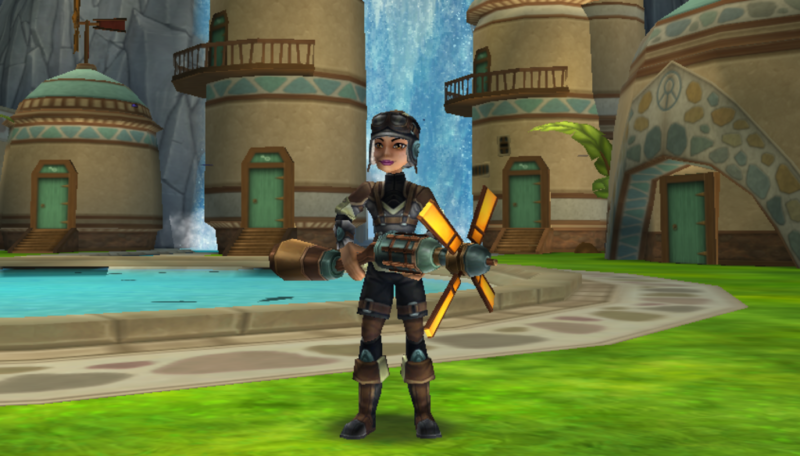 Aside from my liking of the village, I am already using the Aerocannon wand on my level 80 death, who is questing through Azteca and loves having a little extra pierce for all those fortify auras! Until next time, this is Julia Lionflower signing off and hoping to bring you even more Empyrea Pt. 2 content in the coming weeks! 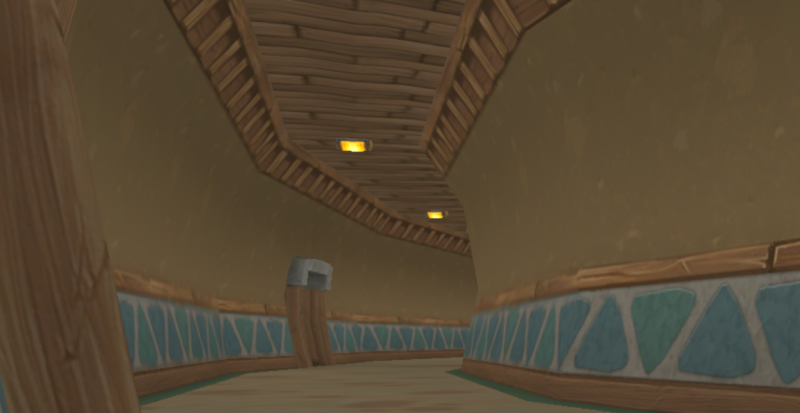 Public Service Announcement: the right hand building on top of the cliff (see it in that picture below?) is a lie. You can’t go in it. I ran into far more walls than I care to admit and took to twitter trying to figure that out and now I’ve saved you from the same fate. You’re welcome. Updates: Fixed the janky link to the Great Detective Bundle, so that should work now and edited to add the note about AOE poison!